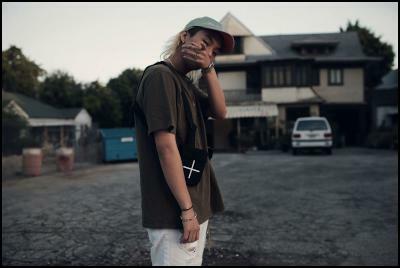 Korean MC Keith Ape has announced his first Australasian tour, with two shows in New Zealand in November. He will play at San Fran in Wellington on Friday, November 11and Neck of the Woods on Saturday, November 12. The Seoul sensation went viral with his smash hit “It G Ma” instantly putting him on the map taking him from an underground artist to a blogosphere darling. The tune gained so much critical acclaim that it was later remixed in a video featuring A$AP Ferg, Father, Dumbfounded and Waka Flocka. Another collaboration arose with underground heavyweight Denzel Curry with a track called ‘Vigorous.’ He also partnered with iconic fashion brand Converse to craft a visually arresting interactive video for his new single, "Diamonds." Aside from his killer rap skills, Keith is also an obscure performer with some serious fashion style. From his face masks to his tattered denim and metal t-shirts, the rapper also made his New York Fashion Week debut at the VFILES SS16 show where he performed his global call-to-fame single, 'It G Ma'. Find more from NicNak Media on InfoPages.